We’ve officially begun the roll out of our Dealer Demo Days and Shop-in-Shop remodels with the top dealers in the Western US territory, and the results have spoken for themselves! From the local Californian dealers like Motostrano, EB Superstore, Evolution Bike Shop and East Bay eBikes, to the more remote territories like Revolution E in Texas and Ebikes Hawaii on Oahu, dealers are buying into electric bikes like never before, and the results have been noteworthy to say the least! Dealer Demo Days are all about drumming up local interest in ebikes, driving bodies into the store and getting potential customers trying the bikes, which we all know is the key route to sales. Our goal is to monetize these events for all parties involved ensuring that the time invested isn’t spent in vain by getting potential customers to try the bikes. Through the resources of our PR and marketing team, we spend the weeks leading up to the Dealer Demo Day communicating with local media, bloggers and industry voices to have our bikes reviewed, ridden and raffled off to a lucky consumer! We help dealers redesign a section of their store with A2B branded POS so on the day of the event the store looks great. As more of these events have been conducted, we’ve taken notes of the successes and refined our approach accordingly. 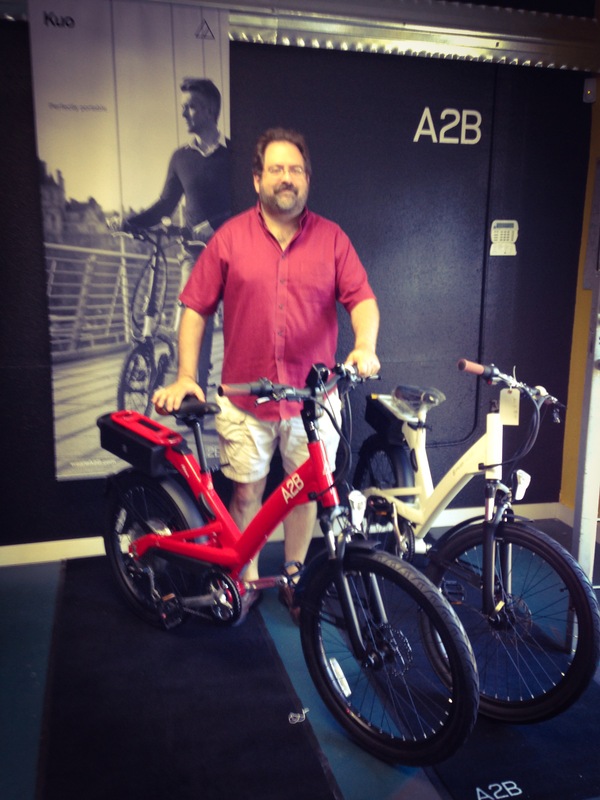 Our most recent event was with Revolution E Bikes in Houston, Texas, during which the dealer sold 4 A2B bikes, as well as replenished his inventory. Part of why we were so successful in Houston was the slick Shop-in-Shop display we put in place for this dealer. These displays improve the retail space on traditionally cluttered sales floors, and allow our bike’s unique aesthetic to shine. The A2B display area can be as simple as a bike display mat, lifestyle banner and literature – through to a devoted, multi-ebike display section complete with painted walls, custom decals, and graphics. Our most successful dealers have utilized this strategy with measurable results. Contact your local A2B rep today and schedule your Dealer Demo Day and Shop-in-Shop rebranding! You will be amazed with the results.